Join us for our third annual Equity in the Job Search Symposium. 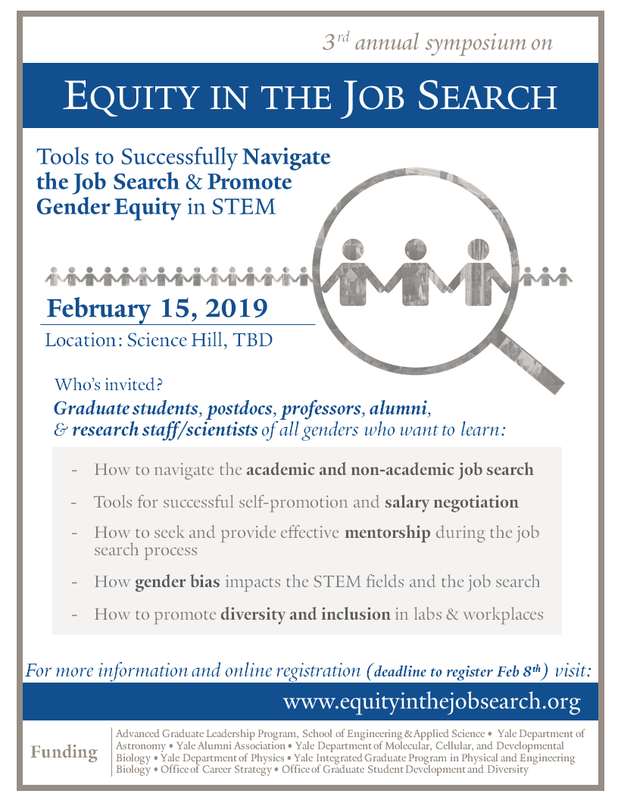 Through practical, hands-on workshops, the symposium provides advice to graduate students, postdocs and Yale alumni in navigating all stages of the STEM job search, as well as to their advisors looking to improve their mentoring efficacy. We integrate career advice with data-driven discussions of gender bias to overcome these challenges in the context of the job search. Breakfast and lunch will be provided for registered symposium attendees.